A sandblaster can be used to remove paint and dirt from many different surfaces. The act of Sandblasting forces abrasive material grit onto surfaces at extremely high pressure.If you’ve ever wanted a sandblaster but thought they were too expensive, here’s a video on how to make one for cheap. Watching rust get blasted off of metal is always satisfying. It must be even more satisfying to do it, particularly when you’re using a self-made sandblaster. 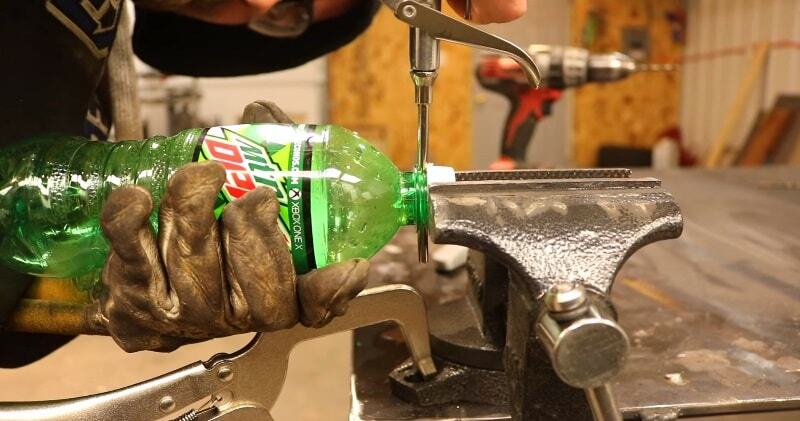 DIY’er Adam Fleisch figured out how to make one for under six bucks, using an airgun and a soda bottle, and the darn thing actually works. All it takes is an air blower which I purchased for under 5 bucks, an empty bottle, and some broken glass and an air compressor. Sand blasting is perfect for cleaning hardwoods and restoring the look of the timber or leaving the timber in a prepped state ready for painting.Commonly used for removing rust from metal work in the automotive industry and in the restoration trade for restoring old metalwork, like railings or pipework.